Named one of the Dictionary of Literary Biography’s top ten living post-modern writers, Neil Gaiman may be one of the most awarded and prolific writers alive. He has received the Newbery and Carnegie Medals, and his writing has been awarded four Hugos, two Nebulas, one World Fantasy Award, and nine Will Eisner Comic Industry Awards, among many other honors. Not constrained by genre or medium, Neil’s work includes poetry, short stories, journalism, novels, graphic novels, screenplays, and books for young readers. In Neil Gaiman MasterClass, the author of Coraline, American Gods, Stardust, and The Sandman series teaches his approach to the art and craft of storytelling. In his MasterClass, Neil Gaiman will teach you his creative process for generating original ideas and building those ideas into stories, worlds, and characters that engage and fascinate. 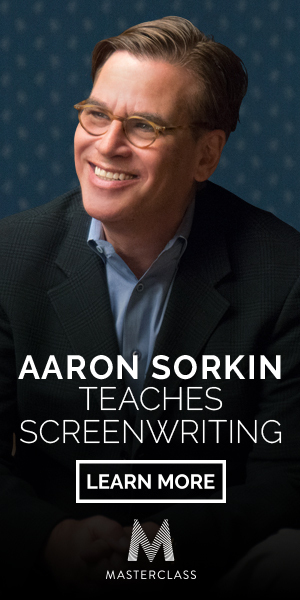 Using some of his most celebrated work as case studies, he’ll teach you how he crafts convincing characters and stories driven by essential truths. Watch, listen and learn as Jodie Foster teaches his most comprehensive writing and storytelling class ever. Enjoyed Neil Gaiman MasterClass The Art of Storytelling? Please share it in your social networks (Facebook, Twitter, email etc) by using social media buttons at the side or bottom of the blog. Or post to your blog and anywhere else you feel it would be a good fit. Thanks.